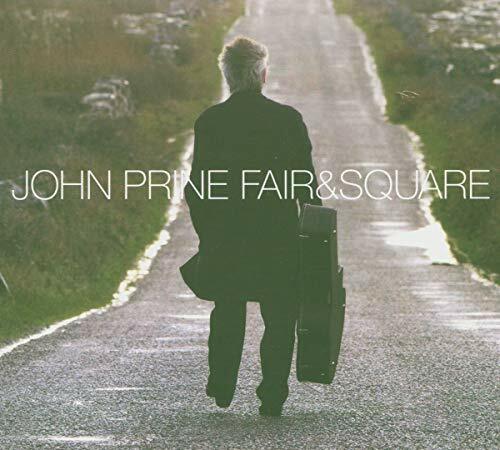 It's probably not possible for John Prine to make a bad album.But it is possible for him to make one that is not up to "John Prine" or "The Missing Years", or even "Common Sense".This disc, while of course containing many of Prine's well-known strengths, suffers on a few counts. First, Prine's voice is not in good form.There are reasons for this, of course, but, well, there it is.His voice lacks the flexibility to properly emote. Second, his famous and necessary sense of humor is rarely in evidence. Third, and most telling, where Prine at his best is oblique in his social commentary, usually getting more than one bird per stone, in this one he is direct, as if he feels he doesn't have the time any more for subtleties.This condescension is unbecoming to an artist of his stature. I'm still looking forward to his next, and am hoping he'll be back to his regular form. As one of America's best singer/songwriters,Prine penned these songs just as he always has with past efforts;with insight,grace and heart.He even has a female vocal talent on a couple of cuts here,country/folk fellow songwriter Mindy Smith.A couple of tracks that I was semi-impressed with were "Some Humans Ain't Human",his tribute to couples married for many years "Other Side Of Town" and "Clay Pigeons".Keep in mind this is not even close to any of my favorite genres,I just thought I'd review this disc as it's my very first listen I've ever had of John Prine.He's very good at what he does. Prime Prine-it doesnt get any better!!!!! This is some of John Prines best music. from different styles this time ,instead of the same old crap from the newer artists of today. Long long long term Prine fan. I have been listening to Prine for almost 30 years. I've been to see him many times. Bluntly, I wasn't impressed with this album. The melodies are recycled and the lyrics are maudlin. I missed the wit that others have identified. I'll be going to see him this Summer if he comes back to Wolftrap, but I hope he sticks to his standards. franz ferdinand are like this year's britney spears of "indie" rock. last year was yeah yeah yeahs, and the year before was the strokes. i love all these bands and own all the music they have put out, but these bands are far too derivative to be "saving" rock n roll, or making any real mark in music other than the fact that they are all pretty ok and are somewhat popular (shock! decent music selling records?!? )and they are being hailed as rock messiahs in a britney-ruled music world. which i guess is a bit of a feat. hmmmmm. ok im rambling. this album is pretty great, they sound like stripped-down, less distorted vocals strokes. its good stuff. "michael" is f***ing great. so i guess buy it. these guys deserve your money more than britney or sum 41. and hey, they get indie cred by being great friends with belle and sebastian. and one last thing... how come "take me out" starts out AWESOME, then gets really lame? Let me start off by saying that this album doesn't really present any exceptional new sound, groundbreaking material or brilliant rehashings of The Beatles. Nonetheless, it's a damn good album, and I'm quite glad that I bought it. As far as the music goes, I think The Strokes comparisons that are being made are valid to some extent. 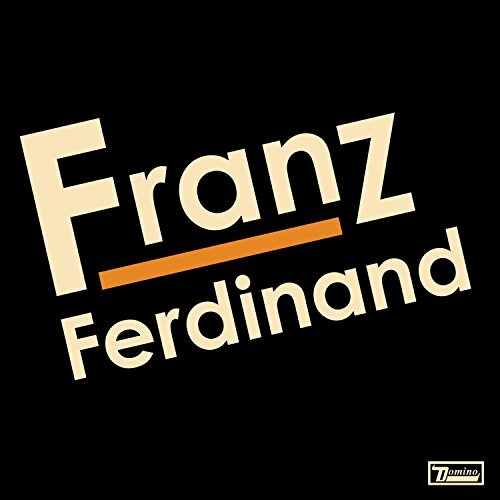 The vocals are strikingly similar on some tracks, the chords and bass sound alike, and the overall energy and exuberance of Franz is comparable to The Strokes. Contrastingly, I think Franz is more exciting, easier to dance to, and the songs are a bit more variegated (I have a hard time distinguishing between most of the tracks on Room On Fire). Another great part about this album is that there aren't any bad songs. There are at least two songs I skip on both Strokes records each time I listen to them. But Franz, solid straight through. In a word, if you're into The Strokes, Franz Ferdinand will be a fine purchase for you. If you care, my favorite tracks include the jaunty Tell Her Tonight, the manic Take Me Out and the brilliant, hypnotic closer, 40'. All the songs in this album are fantastic!! 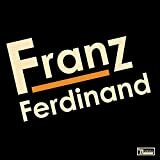 Franz Ferdinand is an incredibly talented band that creates fearless music! They respect many different genres of music and they aren't (...) enough to say so. So, you see, you dimwitted metal rock punktards, you don't have to publicly hate pop music to be successful. No fear!!! wooo! music! wooo! WOOO!!! WOOOOOOO!!! I usually review piano and keyboard CDs, but this album is so good and is making such a stir that I decided to throw in my two cents. One of my adult piano students gave me this CD for my birthday, and I had never heard of Eva Cassidy, so I was a little skeptical. Just goes to show that there are still new wonders to discover! Compiled from three previously-released albums, "Songbird" clearly indicates the many facets of Cassidy's voice and the incredibly natural way she was able to use it to convey such depth of emotion. 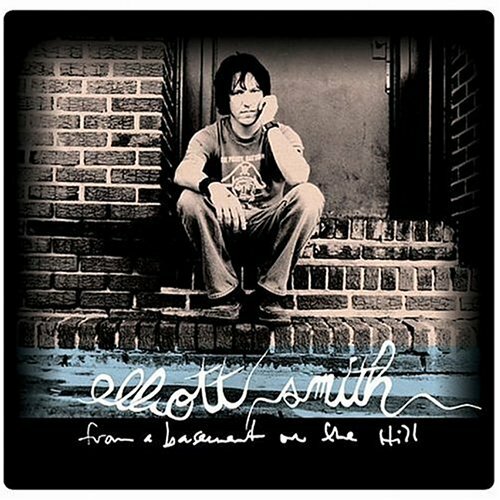 From standards ("Autumn Leaves", "Over the Rainbow") to gospel ("Wade in the Water", "Wayfaring Stranger", "Oh, Had I A Golden Thread"), rock ("Fields of Gold", "Songbird", "People Get Ready"), and gorgeous ballads ("I Know You By Heart", "Time is a Healer"), she slips effortlessly from one genre to another with a voice as pure and honest as a Judy Collins or a Joan Baez. On the gospel and R&B songs, she gets down with the best of 'em! Could this really be a slender, painfully shy, white girl? And then she goes on to a simple ballad and her guitar, and the sweet-voiced folkie returns. The backing instrumentation (usually bass, guitar, and drums) is simple and fully enhances the vocals. It is such a tragedy that Eva Cassidy's life was cut short at the age of 33, but God bless Chris Biondo for recording her singing whenever he could so that her gift and talent can live on and grace us all. This is the best voice I have ever heard. Eva Cassidy easily ranks with Aretha Franklin, Janis Joplin, and Billie Holliday in the ability to express pure emotion through voice. You probably know her story, and it is tradegy. This album is a compliation of previous recordings. Several tracks are live, and the album's producer chose to edit out the applause. You won't be able to tell the the studio from the live tracks unless you look at the CD sleeve. That's impressive. There is no bad track on this disk. Song styles range from folk to gospel to ballad...it doesn't matter what she's singing or what your musical preference is, if you HAVE a soul, her voice will hook you and reel you in. Sting's "Fields of Gold," is the first track, and it somewhat showcases her ability to make a song hers. She does this by putting her soul in her vocal. After hearing this rendition a couple of times, you'll forget that some other guy wrote this song. "People Get Ready," a popular popular cover tune, really shows the range of her voice. Man, she can belt it out. My favorite song on the album is "I know You By Heart." This is the most beautiful/sad song I have ever heard. Period. My wife has a hard time listening to this disk because it is so sad, between the power of emotion Miss Cassidy sings with in addition to her tragic demise. This collection of different genres is ultimately the blues, sung with passion only rivaled by the greats mentioned earlier. I hope she can here all of us listening to her music and have the ability to understand the depths her music is able to move its listeners. I believe I'm writing this more for myself than for readers who can look at five hundred previous reviews. I was so moved by Eva Cassidy's songs that I want to share my thoughts with everyone. I recieved a copy of 'Songbird' from my sister in law. I rarely prefer a second version of a familiar song so I was hesitant to even listen to this CD which included some old favorites. Then I had to take a long drive and had nothing new to listen to, so I listened to Eva. I was stunned. The music really got to me and I had not seen her or heard Eva's tragic story. I've since purchased all Eva's CDs and enjoyed each as much as the first. It is difficult to describe the impact of listening to Eva Cassidy for the first time. I doubt anyone will ever forget the experience. She is amazing! Just listened to "Over the Rainbow" again. Wow. That's just about as well as a mortal can do it. 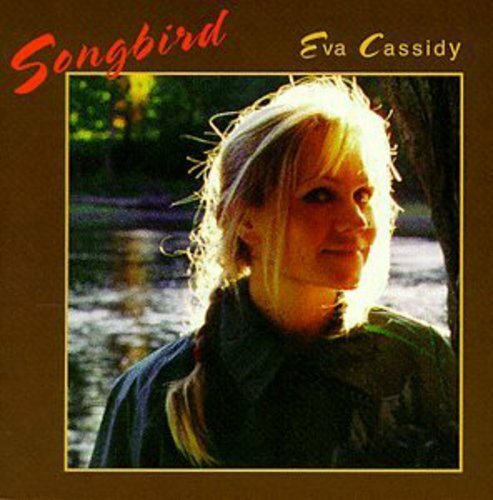 The beautiful, irreplaceable Eva Cassidy died at the young age of 33, leaving behind a treasury of beautiful and bluesy songs she reinvented with her beautiful voice, guided by an intuitive grace. SONGBIRD is like no album I have ever heard. It has a quiet strength, not unlike Eva herself, that sets it apart from all folk, jazz, blues and pop albums. Of course, one of the most well known tracks off of this collection is her arrangement and interpretation of "Over the Rainbow." This truly brought tears to my eyes! When I finished listening to it, the yellow brick road and Dorothy were nowhere to be found.......all I could see was Eva, surrounded by her beautiful light and energy that permeates throughout this recording. The greatest movie soundtrack EVER! With the country music airwaves currently being dominated by fresh, new artists like Faith Hill who fit better in the pop circuit, it is refreshing to see an album composed entirely of traditional bluegrass and country do as well as the soundtrack of O BROTHER WHERE ART THOU. Even further impressing is the fact that although none of the songs were released to radio, the soundtrack was propelled to the #1 spot on Billboard's country album charts solely from people hearing the music in the movie theater. This soundtrack is a phenomenal album that is proof to country fans everywhere that although traditional country has appeared to have gone out of style, it is still very much alive and well. The O BROTHER WHERE ART THOU SOUNDTRACK is composed of nineteen songs recorded by some of the most talented country/bluegrass artists in the business, including Gillian Welch (who also served as musical director for the motion picture), Emmylou Harris, Alison Krauss, and the Cox Family, and and is truly a gathering of musical talent. Also included in the soundtrack is music by musicians who appeared in the film as well as working on the CD, such as the Whites and Tim Blake Nelson. The O BROTHER WHERE ART THOU SOUNDTRACK is truly, as the CD ads claim, "The ULTIMATE American roots collection!" So, grab your acoustic guitar, fiddle, and Dapper Dan hair pomade, and let the soundtrack from O BROTHER take you on a journey through one of the greatest periods in country music history. 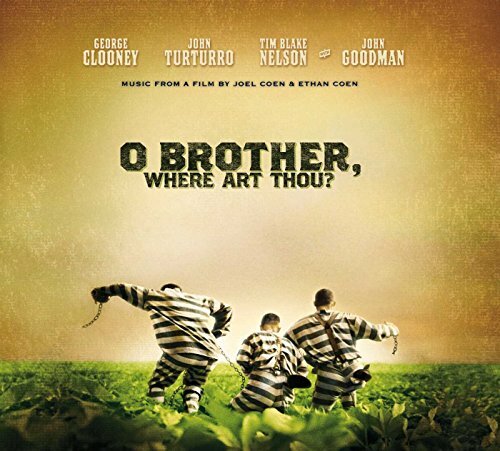 The soundtrack to the Coen Brothers' O Brother, Where Art Thou? is one of the biggest surprises in music for 2000. The film starring George Clooney was not much of a success at the box office, but the soundtrack made up of dark bluegrass songs from the early part of the 20th century has become a major seller. In fact the album has set a record for the most weeks at number one for a soundtrack on the Country Album charts. This is a welcomed and warmly cheered surprise as the album celebrates an essential style of music from America's rich musical history. Album producer T-Bone Burnett has assembled a cast of unknowns, save Emmylou Harris & Allison Krauss, like The Fairfield Four, Gillian Welch and J. Carter & The Prisoners who specialize in this forgotten and overlooked genre. The songs have a stark and haunting quality that are accentuated by the sparse musical arrangements. The singing is alternatively raw and rough to lilting and gorgeous. Song after song provides you with an interesting, intriguing and satisfying listening experience especially "Po Lazarus", "You Are My Sunshine", "Down To The River To Pray", "Lonesome Valley" and "Didn't Leave Nobody But My Baby". This is perhaps the best soundtrack ever made. It is a stunning mix of mostly acoustic tracks by most of the best bluegrass artists ever. There is work on here from Ralph Stanely, Allison Kraus, and Emmelou Harris, to name a few. This CD won a lot of Grammys the year that it came out, and that is because it was the best CD of that year. Highlights include the Big Rock Candy Mountains, Man of Constant Sorrow, In the Jailhouse Now and O Death. If you have ever wondered what bluegrass sounded like but have been afraid to try, this is the CD for you. It will show you the magic that this genre of music can provide. This CD is fantastic, with songs that will leave you humming and tapping your feet. I would have given it 5 stars except for the fact that the primary song I wanted featuring the artists from the actual movie was not featured on the album. The version of "I'll FLy Away" from the actual movie is done by the Kossoy Sisters and is featured on their album "Bowling Green". I hope this helps anyone else who will end up trying to hunt down that origianl version. This is the soundtrack to the Coen brothers' film based loosely on Homer's "The Odyssey". This soundtrack takes the movie from good to great. The tracks follow the progression of the movie. Nearly an hour of blue-grass music, even if you haven't seen the movie, this is worth having if you like "Old-Time" Country music and blue-grass. The legend, Ralph Stanley, appears a couple of times here, although his "Man of Constant Sorrow" is here too, but covered by Dan Tyminski. Stanley's "O Death" is a haunting tune sung without accompaniment. His voice is sorrowful and full of pain, and will send shivers up your spine. Tyminski's cover is well done and becomes the centerpiece for the movie. The sultry voices of Emmylou Harris, Alison Krauss and Gillian Welch provide a rising rendition of "Didn't Leave Nobody But the Baby." Alison Krauss also lends her voice to the spiritual "Down to the River to Pray," and joins up again with Gillian Welch for "I'll Fly Away". The surprise here is Tim Blake Nelson on lead vocals as the dimwitted Delmar on "In the Jailhouse Now." Van Morrison is one of the best songwriters out there. It's awesome to hear his voice and his songwriting talent skip around in different genres, from boogie rock like Brown-Eyed Girl and the spectacular Wild Night to British invasion hookey pop stuff like Gloria and Here Comes the Night to Cat Stevens-ish acoustic reflections like Sweetest Thing and Warm Love and finally to spiritual, decidedly Christian-themed lite rock like Cleaning Windows, Bright Side of the Road, and then God Shines His Light. There's something very cinematic about his music too. It sounds like it belongs in the movies. It has that way on perfectly capturing the mood of human emotion that seems perfect for a soundtrack. Unfortuantely, Morrison never really had the best voice around; he sort of screams with a little rasp- like a louder, fuller Dylan, but it's unique and adds a very Van-ish authenticity to his songs. Ultimately this CD is really just beautiful to listen to as a good collection of thoughtful, well-written pop tunes of various genres. In the early 1990s Alan Parker filmed Roddy Doyle's wonderful book, The Commitments, about working class Irish kids trying to escape dead end jobs through the power of classic soul music. The band's lead singer--slightly pudgy but with a powerful voice and personality--reminded me at the time of a young Van Morrison. Of course, that's not much of a stretch--Doyle could very well have been basing some of his book on Morrison's early career. The Best of Van Morrison provides a nice synopsis of Morrison's first three decades as the bard of Belfast. Those humble beginnings with the band Them presents a sound that was as raw as any of the bluesmen and soul artists that he admired and is represented by three songs: the bluesy "Baby Please Don't Go," the anthemic "Gloria," and the ballad "Here Comes the Night." Van's voice sounds more like a growl in these songs, more like Mick Jagger than the warm, smooth sound that would become his trademark. The CD is not arranged chronologically, so I tend to group the songs by style rather than time period. Van's soul roots as a solo artist can be seen in how he favors background horns and female backup singers, as in "Domino," "Jackie Wilson Said (I'm In Heaven When You Smile)," "Wonderful Remark," "Brown-Eyed Girl," "Warm Love," and "Wild Night." The flip side to that is his jazzy style, born from that blues beginning merging with the stream of conscience noodling that saw its fullest expression on Astral Weeks. 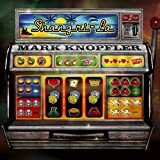 These songs--"Sweet Thing," "Moondance," "Queen of the Slipstream," "Have I Told You Lately," "Bright Side of the Road"--often have unconventional structures, time signatures, or keys and reflect Van's experimentation. Often the purview of country music, Van likes the "story" song. His don't necessarily relate a narrative but instead capture characters or a time period. "And It Stoned Me" is a childhood reminescence, while "Cleaning Windows" tries to capture the simpler times when he performed manual labor. And, lastly, there's the songs of faith, not quite gospel, but like contemporary Christian with more moderate lyrics. These songs--"Full Force Gale," "Whenever God Shines His Light," "Dweller on the Threshold," and "Did Ya Get Healed"--could be maudlin, but there's something about the assuredness of the delivery that overcomes your doubts regarding the message, at least for the duration of the song. While containing all the radio hits, the total collection of 20 songs provides a great introduction to Van, who can be a little overindulgent and uneven in his albums. Once you become a confirmed fan, you're more likely to enjoy those experiments. Until then, this is your best one album collection. 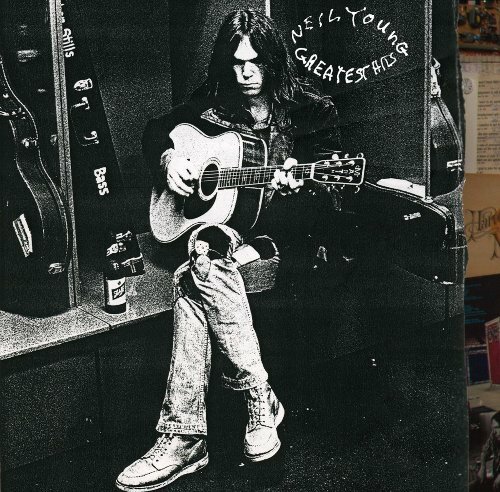 The new remaster has the unedited Brown Eyed Girl with the "Making Love in the green grass...." line intact. Now for the review, this is a great compilation for the Van Morrision newbie. It contains his most famous songs, Brown Eyed Girl, Moondance, Gloria (with Them), Domino, Jackie Wilson Said..., Wild Night, Have I Told You Lately..., And It Stoned Me, among others. The only song that should have been on here that wasn't is Caravan. Other than that a perfect 10. 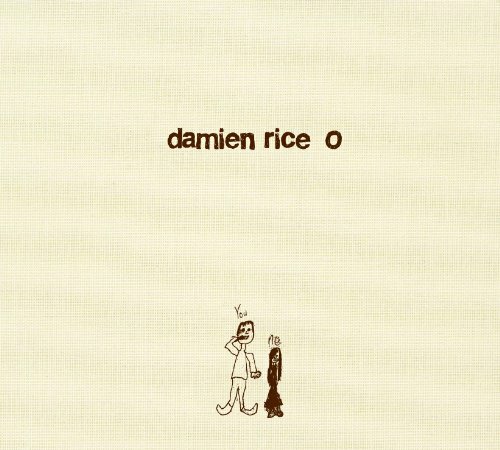 Once again, if you are irritated about the original taking out that infamous line in Brown Eyed Girl, get the remaster. It shouldn't be hard to find since the unremastered is out of print. This horrible little idiot is SO annoying. His voice stinks and his lyrics are stupid. His music is only for idiots who are too brainwashed by outdated garbage music like this to realize that there is such a thing as a catchy beat. 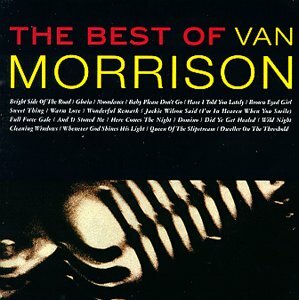 Having grown up in Generation X, I had no idea who Van Morrison was until a few years ago when I bought this CD for my father. He listened to it and loved it, and I borrowed it from him recently. I consider Van a great discovery. I was blown away by how great the music on this album is. There are so many songs of Morrison's that I was familiar with but did not know that he was the singer. I feel very fortunate to have "discovered" such a great artist. 'Have I Told You Lately': Later remade by Rod Stewart, this has become one of the classic love songs of all time. The original is best, with Morrison's throaty voice driving the vocals. 'Wild Night': Another song that has been remade, the original of 'Wild Night' is a bit rockier than John Mellencamp's version. 'Moondance': Now one of my favorite songs, 'Moondance' is a classic, laid-back jazzy tune with brilliant vocals and a terrific shuffle. 'Brown Eyed Girl': Year after year, the oldies radio station in Cleveland places this song at the top of their "500 Greatest Songs of All Time" list. There's a reason why. I love seeing this band live--it is a soulful experience. And yes, long-time fans will have heard more rollicking versions of several of the songs. 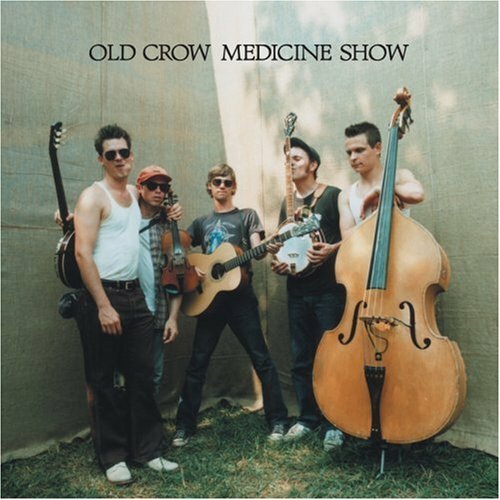 But the Old Crows prove on this record that they can convey a range of emotion, sing and write different kinds of songs, evoke different kinds of feelings and memories--all while staying true to the music of the past. For those who might hesitate to buy this record because of comparison to some bluegrass CD currently annoying the masses, don't fear--this is something entirely different--something that, in stripping off the polish/varnish that makes most most contemporary musician's voices and music sound exactly the same--strikes at something that is (for lack of a better word) real. From fast-paced, energetic songs like "Tear it Down" to the transcendent original tune "We're All in This Together" this album stands apart. It is excellent, and has not left my CD player since it arrived last week. Good, but not so good. These guys are still one of my favorite bands, but I agree with an earlier review that Nashville has really damaged this group. I'm sure this is going to be a hit record, but the album buying public will never know how good this band has been in the past. The energy of their live show and other albums is completely missing. Those of you who've never heard this band should definately buy this. However,if you're and old fan, you should be in mourning. Goodbye Old-Time Punk, hello O'Brother. Can't blame record exec's for wanting to make a buck. 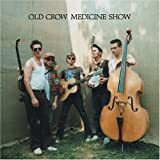 The review wondered how Old Crow was live- I had the pleasure of seeing them this spring, and I can say they were fabulous. Spontaneous, fun, energetic- David Rawlings went to joing them half way through the set, and the chemistry was great. The album's great, they're the best 'new' bluegrass I've heard in a while. Buy the album, then find them live! The album is great. Haunting and feels like my old house. Change and evolution are an inevitable part of life, and blaming record execs for a band's album not sounding like/or having the energy of a live show is just plain tired. Nothing ever stays the same, let go and enjoy the growth. I purchased this CD in August the day after I heard Art Garfunkel in concert at Croton Point Park. Parenthetically, I had quite a summer for great duos, having also seen the Everly brothers in concert. As the "voice" of the duo, Art gave a comprehensive retrospective of Simon & Garfunkel's greatest hits and this CD does the same. Unless your favorite song is some obscure album track, your favorite is sure to be included here. My own particular favorite is El Condor Pasa. However, I know some people who literally choke up when they hear "Sounds of Silence." Whichever Simon and Garfunkel song moves you is likely to be included here. To be sure, there is a double CD and I suppose (but don't know for sure) there's a boxed set, however, if you are looking for their top 40 hits, go no further than here. 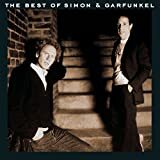 Simon & Garfunkel are very evocative for many baby boomers and I believe that those who remember the duo in their heyday will find the particular cut, on this CD, that brings a lump to their throats. This is a fine, single CD collection and I highly recommend it. Treat yourself to the No. 1 DUO! DON'T FORGET GARFUNKEL! 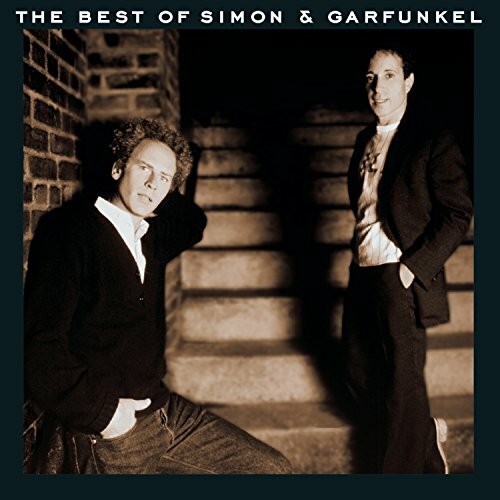 Hey, Paul Simon has had a great solo career, but you need a greatest hits album that includes Garfunkel also, for this harmony has been oft-imitated but never duplicated in such grandeur. Garfunkel adds that extra special something that made MRS. ROBINSON, CECELIA and 59TH STREET BRIDGE SONG sing-along favorites, and revived the traditional favorite SCARBOROUGH FAIR. Of course, Simon still gets top billing for his phenomenal singing and songwriting skills and works his solo magic on two of the album's greatest cuts, FOR EMILY WHEREVER I MAY FIND HER and BRIDGE OVER TROUBLED WATER. It's a real testament to the duo's tremendous appeal that a 20-song "greatest hits" CD can only marginally capture their music. Still, the selection is one that will keep old fans happy and win over a few new fans along the way. It's too bad that their inspiring cover of THE TIMES ARE A'CHANGIN' wasn't included. This album is still guaranteed to stay in your player for a long time. Here it is, the first affordable collection of Simon and Garfunkel's Greatest Hits. All the esential hits are here. If you could never buy the box set and multi disc hit sets from them, this is perfect because only the really popular tracks are on here. This is one of my favorite CDs out right now along with Bond's "Classified" and Mr.Deviant's "Techno Obsession" which is a mix of power rock and hard dance music to make some killer instrumentals. These guys are the reason I've sung a mantra for twenty-five years, *every single time* I've looked at spices... and often when I walk into a kitchen, or simply walk down the street.... The mantra I sing is this: "Parsley, Sage, Rosemary, and Thyme" (Scarborough Fair). I don't know whether to be thankful, or get shock therapy (kidding!)!! But every time I think of spices, or walk into SF Bay Area shops that smell of spices, I sing the mantra: "Parsley, Sage, Rosemary, and Thyme." If Simon & Garfunkel's corporate lawyers don't mind, I'd like my gravestone to read: "Are you going to heaven's fair? Parsley, Sage, Rosemary, and Time." (My cemetery plot has a small patch where herbs may be planted). Anyway, S&G are a class act! During some tough times in this great country of ours, they kept their cool, they were cool, and they created some of the best songs (classiest pop songs) of an era! Kudos! I give this 1 star, and I have no doubt that such a rating will PO some Simon and Garfunkel fans. But just listen to my reasoning, give me a fair chance. You won't be sorry. "I Am a Rock" is a good song, about loneliness and isolation. I listen to this myself a good bit. "Bridge Over Troubled Water" is a good love song, and the conclusive proof that Art Garfunkel was by far the better singer of the two. BY FAR. But Paul Simon writes the songs and plays guitar (which he does fairly well). Aside from these songs, there is nothing at all here that I like. "Sounds of Silence" is the most popular thing here, but there is much in the way of BIG HIT all over this disc. These guys were not really folk, or folk rock, as they are often categorized. They are a poet and a one man band (Paul Simon)(as they sing in homeward bound), and Art G. on the side, contributing as much with his singing as Paul S. does with everything else. The problem I have is that they have no feeling. Peter,Paul& Mary had the same problem-they had good songs, smooth harmonies, and this got them hits, but the real feeling, the real SOUL, is in the grittier stuff, like Bob Dylan. A good guitarist and songwriter, a bad singer and harmonica player, but he had so much heart, and it more than compensates for what he lacks. Simon and Garfunkel, Like Peter Paul & Mary, have what Dylan does/did not-fine vocal harmonies and a smooth production. But the emotional content, the RAW part, is missing. You probably love S & G, and you'll buy this. I appreciate that. All I ask is that you give Bob Dylan a chance. Buy the early folk stuff, and/or "Bringing it all Back Home" or "Highway 61". If you can't stand the thought of something as grating as Dylan, buy the first Byrds album, the one with "Mr.Tambourine Man". Just give it a chance. If you don't care about the lyrical aspect and just dig the harmonies, listen to "The Way You Look Tonight" by the Jaguars. If you still think the poet/one-man-band with his underappreciated buddy Art are better, that's cool. maybe you think I'm way off, that there's plenty of feeling here-and maybe that's because compared to what you normally listen to, this IS more emotional. But feeling in music goes much deeper than these guys ever did. I wouldn't lie to you, give Dylan and the Byrds a chance. Give the Jaguars and classic Doo-wop a chance. I can convert you, if you give me the chance. I have to confess...I bought this "fantabulous" album on tape so I could pop it in my walkman and have my own private time with Van Morrison, his band and the exhilarating music. But alas, I always get caught. The music and the lyrics are just ones that I can't help singing aloud with(you know...'LA LA LA LA... LA LA LA'...), and playing on my own air instruments! The familiar and soothing voice, the soulful and oh so recognizable tunes, will "let your soul and spirit fly Into The Mystic". It's always "a marvelous night for a Moondance", and who could ever tire of "Come Running" and "Caravan". So 'rock your Gypsy soul', 'turn it up',and fall in love again to "Crazy Love".....'she give me love love love love...crazy love'.It'll 'seem like and feel like' a "Brand New Day" every time you play it. It's a marvelous night for "Moondance"
Moondance is a wonderful album. Van Morrison is a truly gifted songwriter, not to mention his wonderful, yet unique voice. If you want to hear music that is more flash and glitz and commercialism, give Moondance a listen. Just reading the lyrics to this album could stir your soul. The lyrics are amazing, and the music is great too. In addition to the great acoustic guitar playing, bass and drums, Van has also added saxophones, flutes, clarinets and pianos to many of the songs, giving the album a rather distinct sound. My favorites are Come Running, Moondance, These Dreams Of You, Caravan and of course, the BEST song on the album, maybe Van Morrison's best song: Into The Mystic. This album would get 5 stars just for Into The Mystic even if all the other songs were bad. Fortunately though, that's not the case. Moondance is marvelous from start to finish. 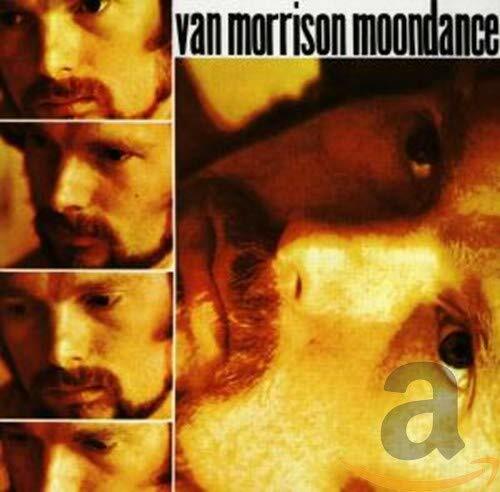 It's not as complex, beautiful and enigmatic as "Astral Weeks" and it's not as much of a soulful, one-two-punch workout as "Blowin' Your Mind," but for sheer, consistent, horn-driven happiness, you can't do much better than "Moondance." But because of my affection for those other two disks, I admit, I generally tend to underrate this album. But "Moondance" keeps coming back to me in the most unexpected ways at the most unexpected times: I'll hear "Caravan" in "The Last Waltz," or "Everyone" at the end of "The Royal Tenenbaums" or "Glad Tidings" three times in the "Sopranos" Season 5 finale, or notice "Into the Mystic" on the PA at the grocery store and be reminded that I need to let it out to play more often. That's the sign of a truly great musical work. he got stoned all rite! yo my parentz lissen tu dis cd! i mean theyre old, and i am an informed consumer uv hot topic clothing! so i must have a better taste in muzak, rite? i mean, da shtuff i lissen too is on da billbored chartz! like, American Idol peeps so bust Van da man fer rekord salez! I always preferred when artists go acoustic, and record a low-quality album. Albums like Nebraska capture an artist at their most intimate. This was Bruce Springsteen's stark, low-key acoustic record. It was very dreary, as it was beautiful. His tales of suffering and being on the wrong side of the law was profound and you can feel it in his howl and his singing. He already had the reputation of being a high-energy, bombastic satdium act but Nebraska captured him in a whole new light. It was more reserved than Born to Run, and it had more personality than many of his albums. 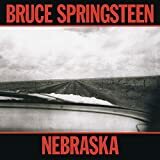 Songs like "Atlantic City," "State Trooper," and "Highway Patrolman" send chills down my spine, whereas other songs like "Nebraska," "My Father's House" and "Used Cars" express Springsteen in a more vulnerable, yet very striking voice, particularly Nebraska's tale of a serial killer. Even non-fans of The Boss can appreciate this album for its sense of intimacy and depth. Springsteen would never be this bare after this album, although certain subsequent works do show his profound side (particularly Tunnel of Love and the Rising). "You wanna know why I did what I did; well, sir, I guess there's just a meanness in this world." So ends the first and title track of this album. The song 'Nebraska' is based, like Terrence Malick's 1973 movie 'Badlands', on the story of the 1950's killer, Charles Starkweather. As with all the songs here, Springsteen sings in the first person, becoming the characters he breathes to life. 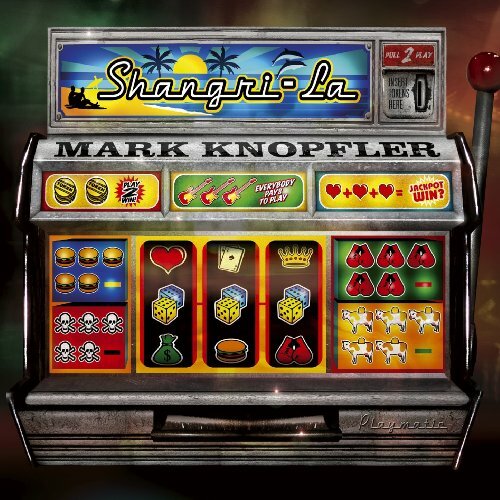 The first song, chilling and nihilistic, sets the tone for the rest of the album, which portrays the stark working class existance of small town life. Here we meet people living on the edge. People with a thin sense of hope running on empty. Yet out of the initial depression and bleakness of his landscape, Springsteen can find a humanity in many of his people, still shining just beneath the surface. This is not an album for everyone. Certainly, it is different from most of Bruce Springsteen's music, perhaps finding it's closest echo in 'The River'. The sound is raw, apparently recorded in Springsteen's own basement, and features a solo performance with only guitar and harmonica. It's tone and sometimes despair recalls the desperation of the dust bowl blues; the lyrics resonate like Raymond Carver stories put to music. Never before or since has Springsteen created such evocative slices of life with such an economy of words. All in all, an extraordinary album. Unique, wild, raw, and beautiful. Deceptive in its simplicity, and disturbing too. A great album. Bruce decided he had to make this album to further himself as an artist, as to not get stuck in a routine of writing typical pop songs. 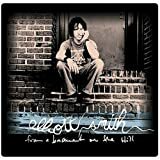 It took a lot of guts to do, especially because he knew that it wouldn't be an immediate big smash, and because he also knew that he could have easily remained in the same vein he had been in and sold more records at the time. In the book "Howling At The Moon," Walter Yetnikoff, who was President of CBS Records when Nebraska came out, described the first time he listened to it with Bruce. He said Bruce was very nervous, because he knew it wasn't a commercial album, and so Yetnikoff, who was drunk at the time, listened to it, and responded by calling the album the wrong name, "Yeah, I really like 'Omaha,' Bruce." A mistake in the name, but it was not a mistake to release this album. It allowed Bruce to explore darker and different areas of his craft, and to master them, while showing people that he is not the one-dimensional caricature that many make him out to be. Highlights on this album include: Nebraska (very scary), Atlantic City (it's interesting to listen to the original version and compare it to the version on the Live in NYC DVD; really one of his best songs ever), Highway Patrolman, State Trooper (his visceral screams are the highlight of the album), and Open All Night. You can really hear his influences on this one, including Dylan, Orbison, and Buddy Holly. It paved the way for him in the future by opening up his creativity, and for fans of typical "Born in the USA" Bruce, this is a realy eye-opener, and it might take a while to grow on you, but believe me it will! Raw and unrelenting, Nebraska is a shock to the casual Bruce fan's system. Alike nothing he had created before, it was a true testament of Bruce's artistry. He rarely gets enough credit for the chances he took musically through the years--Nebraska being probably his biggest one. This album could have been awful. It could have cemented the notion that Bruce could never be anything close to "Dylanesque." This could have done to him what going electric did to Dylan. But...it didn't. Not only does Nebraska prove Bruce's lyrical talent, but it also proves that he is not just the electric guitar wielding, theatric stage performer that we all know and love. Recorded on his own tape recorder, in his bedroom, it's just Bruce and his acoustic guitar yearning for redemption, deliverance, and a reason to believe. The lyrics on this album will get inside you immediately, within the first few lines of the title track. They will pull you into the desolate world of his disparaged and lonely characters. Bruce is a master at painting portraits of life in his words by creating characters you can feel, see, and love. On 'Nebraska', he creates antiheroes for the common man. In "Johnny 99" you start to empathize with the main character as he descends toward madness after losing his job at the plant in Mahwah late last month. In "Highway Patrolman" Bruce displays the moral ambiguity of an honest man torn between his duty as a law officer and his own flesh and blood. Others like "Used Car" and "Mansion on the Hill" are Bruce's retelling of his childhood memories. They will leave you feeling lost in time, like you are looking into the soul of an old black and white portrait. "State Trooper" is a song like no other. Bruce himself wasn't sure if it could be even called a song, but he threw it on the record anyway. I wouldn't recommend listening to it while driving alone, especially after midnight, because it might scare the s*** out of you. Either that, or you will go mad and drive endlessly trying to escape from nowhere. 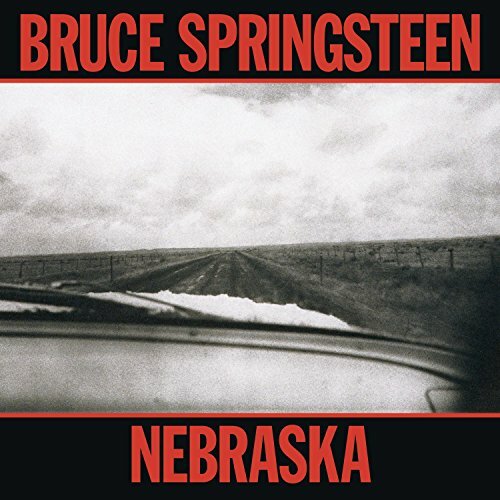 'Nebraska' is one of those albums that takes on a whole new persona depending on when you listen to it. In the daytime, it is a realistic journey into the past, a walk with each character down the street of hopelessness towards a meaningful existence. At night, however, it turns into a descent into loneliness, desperation and uncertain fear. Listening to this record will definitely take you somewhere. It may be somewhere unpleasant, somewhere to close for comfort, to real to discern. It may take you to a place where everything you've ever known in life fails you. And it may strike you kind of funny...but at the end you'll somehow be left with more of a reason to believe. The real song catchers, dont miss this at this price! This is just about 1/2 to 2/3 of the hundreds of records that the Carters made between 1927 and 1941. Sara Carter later remembered they had made more than 600 records during those years. At the end of 1941, they all went their separate ways: Sara just to get out of the music and live with her new husband in Central California. AP returned to Maces Springs to run a general store and to try to get his relectant sons and daughter to play and sing music. Maybelle and her daughters kept playing Carter Family music until daughter June passed away last year. I have just listened to every CD on this set one by one. Even though I have been playing this kind of music since the 1960s, even though I have had this or that single disc Carter Collection, even though I am judged as some kind of expert on old time music by some, I was shocked at how many tunes that I know as old time music tunes or bluegrass tunes identified with other artists were Carter Family versions of those tunes. The Carters performed an immense service for the history and preservation of traditional American music, black and white. They were not allowed to record already copywritten and published songs since Ralph Peer who recorded them for Victor Bluebird only got paid for publishing rights and could take only tunes he could claim publishing rights to. At the beginning the Carters were not such great song writers, although in the later 1930s when they began living in Del Rio Texas and broadcasting over Mexican border radio, they did write a number of great songs. AP Carter traveled up and down the hills and hollers, mountains and valleys of Southern Virginia, Tennesee, North Carolina, and Kentucky asking Black and white working people, farmers, musicianers of all kinds, if they had songs for them to record. During the times late in the years covered by this set, when AP moved to Detroit to get cash paying work, and when his brother Eck and his wife Maybelle moved to DC where Eck got railroad work, they asked Southern people in those towns for songs. During much of this time AP travelled with Leslie Riddle a black blues guitarist so that they were able to find songs African Americans as well as whites had in their hearts and minds. The Carters accepted Leslie as an equal. He lived in their home like a family member defying the Jim Crow Ettitique of the times. The Carters were all solid anti-confederate Lincoln Republicans. AP's dying words were "Don't vote Democrat" which in 1960 in Virginia meant don't vote Dixiecrat. Old AP used to delight in the relatively small royalty checks all these songs brought him in the 1950s which he dutifully divided with Sara and Maybelle, even though all the songs were in his name. It is too bad he died in 1960 just before the folk revival brought all these songs back onto hundreds of records by folk singers, then by bluegrassers, then by country Western artists. Those checks would have gotten a lot bigger. People brought these songs to the Carters, mostly to AP and Leslie Riddle, singing them on their porches, or in juke joints, or often when AP would stop after hearing a rumor that used saw mill parts could be obtained at a good price, something he was obessed with. Some folks did bring them the songs in yellowed old sheet music with crackled paper from the 19th Century, or as pages cut out of poetry books published deep in the past. Some of them would go back stage at the little school house and church shows the Carters did in the mountain towns during the depression and gave an old ballad not sung since their grandparents time. Some of them would request a song that the Carters didn't know, and AP might ask them to sing the tune right then and there. On top of this, of course, AP Carter had been known since he was a boy for singing songs, teaching singing schools, being willing to walk all day up and down the Southside Virginia mountains to find a good singer or good music. This is how he found Sara Addington, his wife who was a hell of a singer. Then when AP's brother married Maybelle Addington who was known as the best guitar and banjo picker in the valleys around there (and no slouch on the fiddle and mandolin too)since she was a teenager (and she was only 18 when the Carters began recording) they were set. This may have been a plot, because a lot of the time AP would go up and over the mountains up and down walking all day to court a reluctant Sara, she would be sitting in the parlor singing or playing the autoharp, or learning guitar chords, along with her cousin Maybelle's guitar, banjo, or fiddle. AP Carter was the real song catcher. These were a few of the hundreds of songs he caught, a few that were written by himself, Sara, and Maybelle. So this is, in fact, an encyclopedia of the songs that were sung by Black and white working folks, farmers, musicians, rounders, up and down the mountains of Viriginia, North Carolina, Tennessee, and Kentcuky and the songs migrants took with them to Washington and Detroit. This is a treasure trove for anyone wnating to return to the lost world of those people, or to find songs from those years that speak to our lives and problems. Besides they are pretty good to listen to! One good thing about this collection is that you hear a lot of the tunes they did in finger picking and slide guitar styles that Maybelle learned from Leslie Riddle. A lot of modern performers do them just flat picking, or the thumb and strum style Maybelle is best known for. At this price, everyone with ears needs this. If at all interested - PURCHASE!!!! I listened to these CDs in one sitting, it was so captivating. JSP has done a very good job at remastering, and if you want a comparison then go to www.honkingduck.com, click on 78s, then click on Artist, then click on C to get to the Carter Family. They have entire songs from original 78 records as well as from tapes from original records. Listen to the samples on Amazon and compare them to the originals. The remastering is so good that you can hear Maybelle's nails on the strings of her guitar, and you can hear Sara's autoharp ringing in the background. This set is 100% recommended. If you want to listen to the roots of our musical heritage, listen to the Carter family! I read the book "Will You Miss Me When I'm Gone?" by Mark Zwonitner which is an outstanding history of the Carter Family. 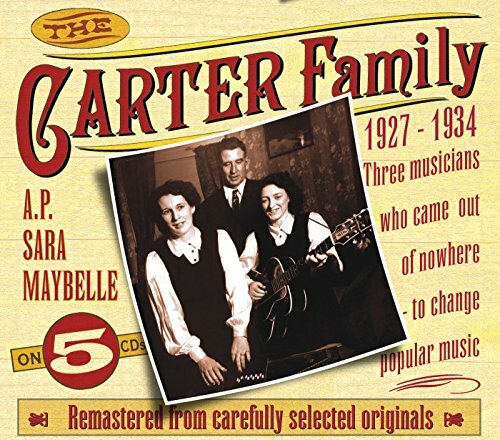 The Original Carter Family broke up when I was 5 years old so I had only heard very little about the Orginal Family but became very familar with Mother Maybelle and her daughters. After reading the book I shopped around and found this 5 CB set of the remastered RCA recordings. By the time you get to the #5 CD you fully understand what an impact the folks had the music industry. A.P., Sara, and Maybelle probably never realized how good they were at the time these songs were recorded. All these recording were done with primitive equipment and I would imagine most all were done on one take using a single microphone. There are several songs included in these recording that will absolutely knock your socks off if you listen to them a couple of times and listen closely. If you enjoy the music of Hank Williams, Merle Haggard, Johnny Cash, Roy Acuff and other legends do yourself a favor and get the Carter Family RCA recordings. This is one of those stunning bargains which leaves you with gaping jaws and a big smile, if that's possible. For the price of TWO cds you get FIVE instead, all packed with 70 plus minutes of Carter Family gems, all in chronological order, and with fabulous sound quality which is BETTER than the American Rounder releases (and those releases only have about 45 minutes of music - I know, I bought some of them!). Can this really all be true? YES! It's true. The only thing you don't get in this dirt cheap box set is decent sleeve notes, but I'm not going to complain! In an era where the President of the United States betrays the trust of the American people by taking them into war based on fictitious intelligence resulting in over 1,650 American casualties, the most since Vietnam, and packages as patriotism the effort to prop up oil business buddies with American blood, it is refreshing to see an artist like Nanci Griffith -- a country artist -- take a strong anti-war stand.Her composition that compares our Earth to a "Big Blue Ball of War" is effective as a philosophic statement & as a musical one, "Almost a century the blood has flowed; We've killed our men of peace around this ball & refused to hear their ghosts....These men of evil deed can be proven wrong if we join hand to hand with Abraham so not a soul falls off. "Griffith's voice has never sounded braver, crying out in the American political wilderness.Griffith does not confront the current conflict, but instead takes a more indirect (and probably more effective) approach by focusing on the Vietnam conflict. "Old Hanoi" focuses more on the regression and polarization of that war, "Where is the eloquence of the ladies on their bicycles?Dressing in their au dias in the lotus flowered nights of Indochine; They rode to progress; They've flown away. ""Heart of Indochine" likewise revisits the horrors of conflict, "Oh, deliver me to the river of souls. "On her lovely CD, "The Girl I Found," singer/songwriter Julie Gold sounds more like Carole King on "Mountain of Sorrow," a post 9/11 elegy.Nanci Griffith gives the song a powerful reading with her expressive vocal, "How high the top must I climb?Ever blue ... when can I stop & be fine, knowing I'm over you?" 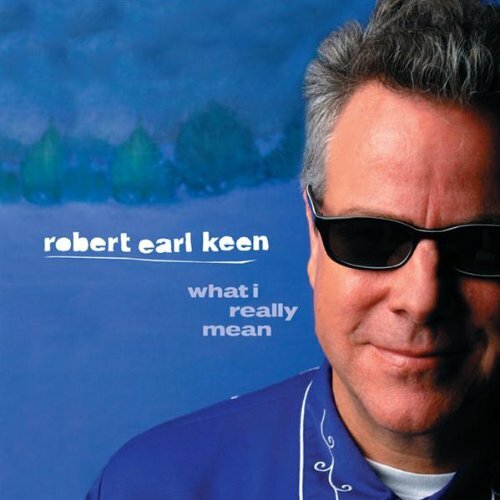 "Before" written with Le Ann Etheridge is delightful Cajun-flavored track that is a repeater in my changer.My very favorite is Clive Gregson's "I Love This Town" with Jimmy Buffett on guest vocals & the insistent toe tapping beat, "Still we can do just as we please, as long as no one's watching. "Tom & Jennifer Kimmel's "Angels" that I have on an early 90s lp by John Farnham is remade into pure gold with Nanci's glorious chorus, "We're lifted up by angels, higher than the world. "Co-writer Keith Carradine does a guest vocal on the set's closer "Our Very Own" that boasts a charming melody. "Hearts In Mind" is musically successful and a gutsy statement from this excellent musical artist.Bravo! 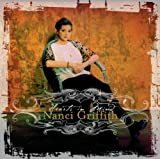 After several years of tinkering with the style of music that put her on the map (with usually decent, but mixed results) Nanci Griffith returns with her best album of mostly original material in more than 15 years.Yes, this album is her best of original material since "Little Lover Affairs" back in 1988. Kicking off with the song "Simple Life," co-written and sung with up and comer Elizabeth Cook," the album finds Nancy touching on many of the same themes that she has explored over the years.Her interest in Vietnam continues with "The Heart of Indochine" and "Old Hanoi".Long term Nanci fans will delight in the literally reference that later song makes to the great writer Graham Greene as well as to the Sylvia Plath inspired "Back When Ted Loved Sylvia." Wonderful produced by Griffith and pat McInerney HEARTS IN MIND has a host of guest artists including Jennifer Kimball, Jimmy Buffett, Clive Gregson, Mac McAnally and the aforementioned Elizabeth Cook.That a gorgeous jazz flavored track like the appropriately titled "Beautiful" can find a home on this album without seeming out of place rings as a real testament to the fact that Nanci's muse is well on target. This may be Nanci's best album/CD ever.I love it.I have tried to choose a favorite song from the CD, but there isn't one song that stands above the rest.It is complete as a collection of songs.And although many of the songs deal with war, after I listen to this CD (while commuting in my car) I feel calm and content and joyful.Even the sad songs are sprinkled with hope. 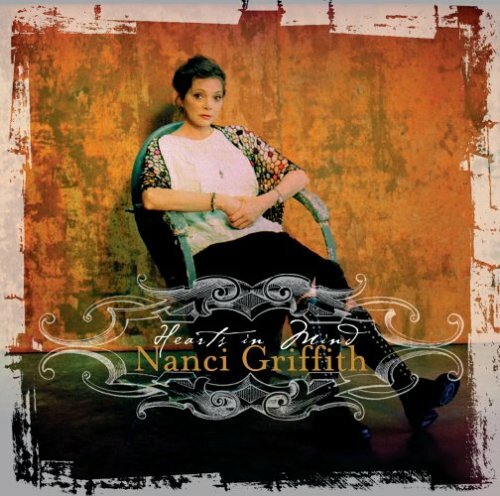 Some songwriters with a few musical vignettes could paint some provocative pictures of faith, love and compassion that even the nullifidian would take notice.Nanci Grifiith is such an example of the highest order.With her easy, yet heartfelt storytelling style, Griffith has the proclivity to take simple tuneful melodies and bring her characters to life.Taking the themes of war and love as her conversation pieces, this Texan native returns to the mother milk of her art: rustic country story songs with compelling messages.Digging deep into the song's tissue, Griffith's take of Julie "From a Distance" Gold's "Mountain of Sorrows" is stellar.Though written as a visceral response to the 9/11 tragedy, "Mountain of Sorrows" has such a transcendent message of healing that it extends beyond the Twin Towers menace.Collorary to "Mountain of Sorrows," Angels" is an uplifting ode of hope with an almost spoken verses perhaps played at an octave too low for Griffith.Nevertheless, it's a fetching piece that complimentarily brings out Griffith's vocal nuances. Inspired by her recent trip to Vietnam, Griffith's pacifisms is brought out through acutely observed songs.Case in point is the surging anguish twang of the dobro-rich album opener. "Simple Life" presents a moving plea from a mother who laments over the devastating effects of how war can deprave her of her husband and her children. Contrary to Toby Keith's in-your-face jingoistic approach, Griffith's political views are acutely presented through the gentle sounding ballad "Heart of Indochine" where there's a longing for peace in a city besieged by blood stained and foreign powers. "Old Hanoi," with its gentle strumming of the guitar, finds Griffith in search of any vestige of culture in a city that has been pillaged by progress.With a simple plaintive nostalgia, but this time with the focus on the US, "Before" is another catchy ballad bemoaning the truculent effects of loss and changes. But war and nostalgia are not the only concerns of "Hearts in Mind. "In a celebratory note, Griffith (dueting with Mac McAnally) metered out a more joyous disposition on the blissful "Rise Above the Occasion" written by Blue Moon Orchestra's Ron Davies.While the bluegrassy feel of "Last Train Home" (which first appeared on Griffith's previous "Winter Marquee" CD) certainly makes one thankful that Griffith has returned to using the country card.In returning favor to Griffith for singing on the parrot's latest CD, Jimmy Buffett joins Griffith on the doop-woop Tropicana-infused jaunty "I Love This Town." Bob Dylan has enough essential recordings to fill 3 CDs and more. But, lets face it, in 4 decades, Bob has had his up's and down's. This collection tries to pick some recordings from all periods of Bob's recording carrer, and unfortunately, Bob has had made some lousy albums and for CD 2 they did not picked the greatest songs and included some preety average songs, to represent some periods in his recording career. I am glad they included 'dont think twice', but I miss something like 'masters of war', 'with god on our side', 'its allright ma', 'a hard rain's a gonna fall', which show a side of Dylan that this collection fails to represent. On the other side, 'quinn the eskimo' and 'I'll be your baby tonight' although are some of his greatest hits, are pretty lame songs. But overall, CD 1 is as good as it can get. CD2 sounds sometimes like a collection of B-sides: 'if not for you', 'you aint going nowhere', 'forever young', 'jokerman', 'silvio', 'not dark yet' , 'everything is broken', could have traded places with 'license to kill', 'I believe in you', 'foot of pride', 'love sick', 'series of dreams' or include more stuff from the 60's, when he really pulled all the stops and changed the face of popular music forever: 'memphis blues again', 'just like tom thumbs blues', 'to ramona', 'hatie carrol', etc. I can't really give this collection less than four stars, can I? Most of this music is superb, showing both the breadth and depth of Bob Dylan's talent, and the huge impact he had on popular music. But I do believe that the compilers could have made a considerable better record than this one. Dylan's seminal "Blood On The Tracks" album is almost ignored, and the last twenty-five years of his career is (mis)represented by only six songs, most of which aren't among his best. 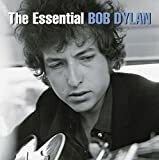 Sure, most of the classics are here, including "Mr Tambourine Man", "Lay Lady Lay", "Knockin' On Heaven's Door", "I Shall Be Released" and "Tangled Up In Blue", but "The Essential Bob Dylan" isn't really all that essential. If you are just starting your Dylan collection you should pick up either his two original Greatest Hits-albums, "Bob Dylan's Greatest Hits" from 1966, and 1971s excellent "Bob Dylan's Greatest Hits vol. 2" (the double-disc version), or his two best records of the 60s, "Bringing It All Back Home" and "Highway 61 Revisited". That'll get you started in the best possible manner. And remember - "Blood On The Tracks" is a must-have either way! Aw for chrissake people!! Just spent 10 or 11 bucks a pop on the newly released and remastered original albums. ITS BOB DYLAN!! There are plenty of superior album tracks on the original albums that these cuts are culled from. For example, you can't have appreciated Bob without ever having heard "Visions of Johana." The key word is essential in many ways. It was a smart move no to call it "The best of" or any of those hokey catch phrases for someone's idea of sample mix. There is enough Dylan to satisfy just about anyone. The first hand full of songs were also made famous by other singers and you have to get over trying to compare, unless like me it has always been Dylan first. Later you get to the good songs; He may not have personally thought so, but many of the songs struck a cord with me such as "Subterranean Homesick Blues." To understand most of theses songs it would be best to buy a biography or watch one fro A&E. However with out knowing the man behind the song they will still standout in your mind for years. I was flipping channels one day and came across the Duhks video for "Mists of Down Below" on a country music channel and became completely blown away.I had to hear more.I logged on to Amazon to hear samples of the rest of the songs and instantly fell in love.I knew I had to have that cd the same day.I have not felt that connect with a group and song since I ran out and bought Tracy Chapman's debut album after hearing "Fast Car".I should have bought 2 copies because I usually can't wait to leave work so that I can hear it in my car.Love every bit of it! 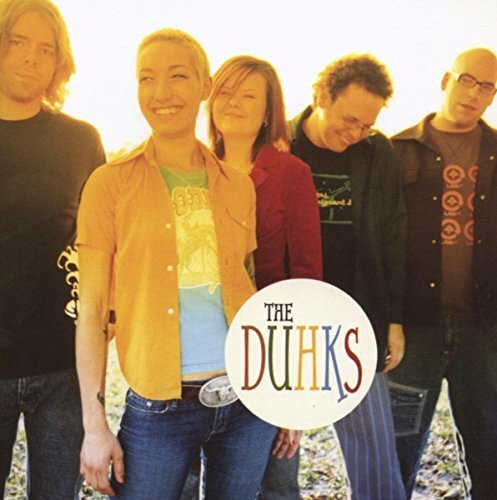 Duhks explode on their self titled CD with delightfully infectious "Death Came A Knockin'" with Scott Senior's percussion making the track pop & crack as Jessica Havey's lead vocals send this track through the roof. "Four Blue Walls" written by the Mammals' Ruth Ungar is a powerful soulful bluesy acoustic track about family secrets with Havey's vocals snarl with passion, "He told her she was looking for trouble & she said, "That's right. ""True Religion" is another traditional track that the Duhks polish to a wonderful luster.Duhks take Leonard Cohen's "Everybody Knows" and supply great musicianship with Leonard Podolak taking a turn on lead vocals making this a classic interpretation of this great songwriter's work.The French track "Du Temps Que J'Etais Jeune/Gabriella's Jig" transports us to Quebec.Sting's "Love Is the 7th Wave" is sung in medley.Duhks has great energy and showmanship that makes this a great recording.Bravo! I don't know anything much about folk music, but I really love this.I saw their video on a late-night cable country music channel, loved the song, and looked them up at one of the online music download stores.I was going to buy just that song (Mists of Down Below), but they had more than three that I liked, so I ordered this CD.I'm pleased to say that I love all of it, even the instrumental pieces. The more I listen to it, the more I like it.I love Jessica Havey's voice and the fast, intricate instrumentation.If this folk-ignoramous likes it this much, it has real cross-over appeal.